STAMFORD, Conn.--(BUSINESS WIRE)-- Frontier Communications Corporation (NYSE:FTR, news, filings) held its Annual Meeting of Shareholders on May 14, 2014 at its corporate headquarters in Stamford, Connecticut. Shareholders elected the 11 directors standing for election, ratified the appointment of KPMG LLP as the Company's independent registered public accounting firm for 2014, and by 92.8 percent approved the advisory resolution on executive compensation. Elected to the Board of Directors were Leroy T. Barnes, Jr.; Peter C.B. Bynoe; Edward Fraioli; Daniel J. McCarthy; Pamela D. A. Reeve; Virginia P. Ruesterholz; Howard L. Schrott; Larraine D. Segil; Mark Shapiro; Myron A. Wick III; and Maggie Wilderotter. 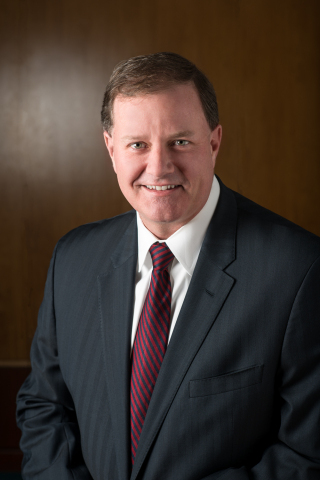 Joining the Board with this election is Daniel J. McCarthy, President and Chief Operating Officer of Frontier since April 2012. He was Executive Vice President and Chief Operating Officer from January 2006 to April 2012. Before this, he held positions of increasing responsibility throughout the Company. Mr. McCarthy has been with Frontier since 1990. "I speak for the entire Frontier Board of Directors in welcoming Dan McCarthy to the Board. His experience, operating leadership and strategic capabilities will add strength to our Board deliberations and decision making," said Chairman and CEO Maggie Wilderotter. She added, "I have worked with Dan for close to 10 years at Frontier. He is an outstanding executive with a wealth of industry experience." Mr. McCarthy earned a bachelor's degree in marine engineering from the State University of New York Maritime College at Fort Schuyler, and holds an M.B.A. from the University of Phoenix. He is a former officer in the United States Merchant Marine and Naval Reserve. In October 2013, Mr. McCarthy was appointed a Trustee of The Committee for Economic Development (CED), a nonprofit, nonpartisan, business-led, public policy organization. In December 2013, he was elected to the Board of Trustees of Sacred Heart University in Fairfield, Connecticut. He is also a member of the Western Connecticut Health Network Corporate Advisory Council. Mr. McCarthy and his family reside in Connecticut.